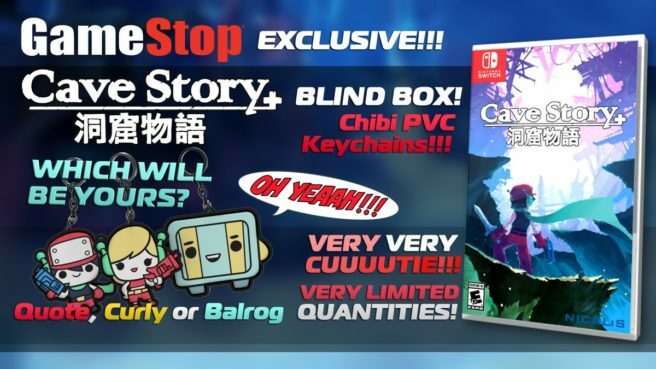 Cave Story+ can be pre-ordered at GameStop. If you reserve a copy at the retailer, you’ll be entitled to a free PVC keychain. Customers will be provided with one of three keychains at random. Quote, Curly, and Balrog are the options. You can pre-order Cave Story+ at GameStop here.